eventPower client—The Logistics Officer Association (LOA) Symposium offers the premier event dedicated to enabling interactive exchanges among logistics, acquisition and technology professionals from across the Department of Defense, defense industry and academia. LOA discovered eventPower through a member of their association. The member was already working with eventPower on another event and highly recommended eventPower because of how they partnered with them and identified their needs. LOA needed to rethink their business model in order to continue hosting their Symposium and eventPower jumped in and helped them in making their Symposium a successful and profitable event. Having worked with eventPower for six years, LOA attests to eventPower being a true partner. 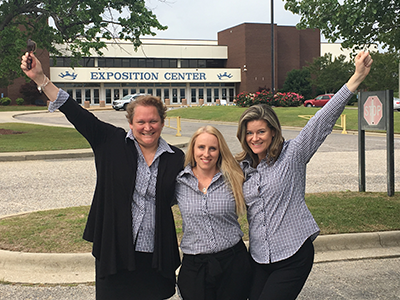 “eventPower’s background as meeting planners themselves creates a natural working relationship,” said Jondavid DuVall, LOA Chief Operating Officer. “eventPower has become an extension of our organization when we work together and we truly consider them a teammate and advisor rather than a vendor.” According to LOA, additional factors that make eventPower unique to work with include their background in event planning for the government and military community, their proprietary tools including registration and speaker management that create efficiencies, and their exhibitor and sponsor re-sign ability, with an average of 90% resigning. With eventPower, LOA gets a whole team of meeting planners who understand how to produce a meaningful, efficient and profitable event. eventPower supported the 36th annual Logistics Officer Association (LOA) Symposium in Oklahoma City. 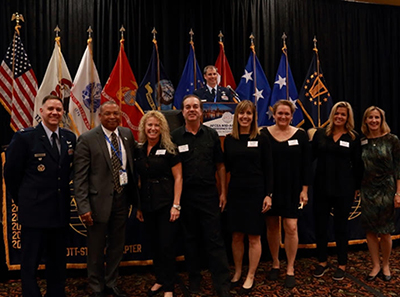 The event attracted close to 1200 logistics, acquisition and technology professionals from across the Department of Defense as well as industry attendees and academia. We are proud to partner with such a great organization! The eventPower team is shown here shoulder to shoulder with the AFCEA Scott-St Louis Chapter outgoing President, Sam Douglas, incoming President, Colonel Michael Phillips and AFCEA Vice President of Membership, Tina Jordan. 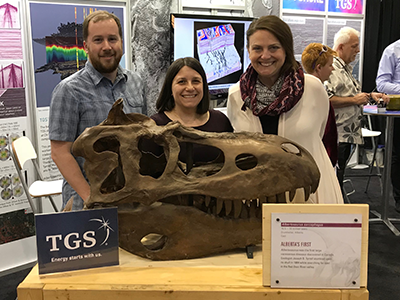 We are proud to partner with this organization to produce a successful event for yet another year and look forward to what 2019 has in store for this growing Symposium! The eventPower team provides conference services to the Global SOF Foundation which supports Special Operations Forces within the United States military and its allies. This event was a reception during the SOFIC conference in Tampa, FL. 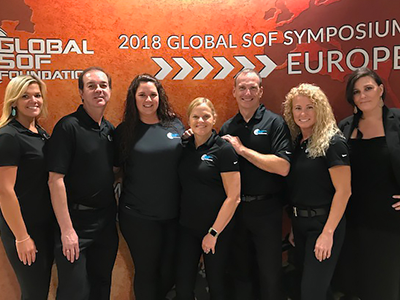 The eventPower team is looking forward to supporting the Global SOF Foundation at the Modern Warfare Symposium in Fort Bragg, NC, and the Global SOF Symposium Europe in Madrid, Spain. 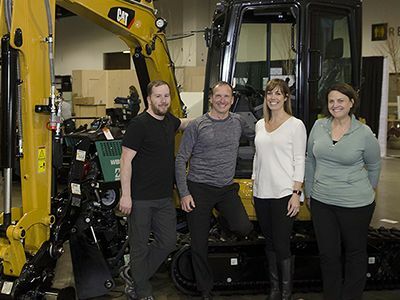 eventPower was happy to be back in Calgary, Canada for GeoConvention 2018. The event focuses on the Canadian oil and gas industry. 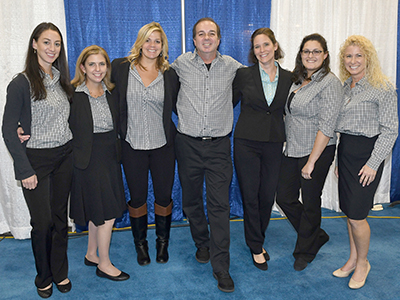 Our team was there to run onsite attendee registration and check in. We look forward to returning in 2019! eventPower celebrates its 10th year supporting the annual AFCEA TechNet Fort Bragg Conference in Fayetteville, NC. ProGreen EXPO just finished with over 6,000 green industry professionals attending a huge expo hall, classes, and certifications in Denver, Colorado. eventPower handled pre-event registration along with onsite badge printing and onsite registration. eventPower also debuted new full-color print-on-demand badges. Attendees checked-in quickly with pre-emailed Scan-and-Go stations, and those who didn't pre-register were able to register and get on their way easily. eventPower had staff onsite running registration with ProGreen volunteers as well as supporting ProGreen's email and phone help desk. eventPower kicked off a new partnership with the National Council of Teachers of English (NCTE) supporting their 2017 Annual event in St. Louis. 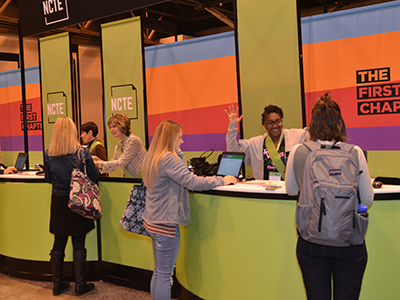 eventPower is providing online and onsite registration services for multiple events throughout the year including NCTE's Annual and CCCC events. Registration at the Annual Event in November included checking in and registering over 6,000 authors, advocates, and literacy educators from across the country. Integrating with NCTE's Aptify Association Management Software (AMS) was an important step in ensuring consistent data across all NCTE's information systems. Attendees were overheard commenting about the ease and speed of the entire check-in and badge pickup process. eventPower is additionally providing speaker management services to NCTE including the call for authors process and multi-step review process for NCTE's upcoming events.